Food halls are opening at a fast clip in the lobbies of office buildings, shuttered warehouses and markets, transportation terminals and other spaces large enough to house multiple eateries. 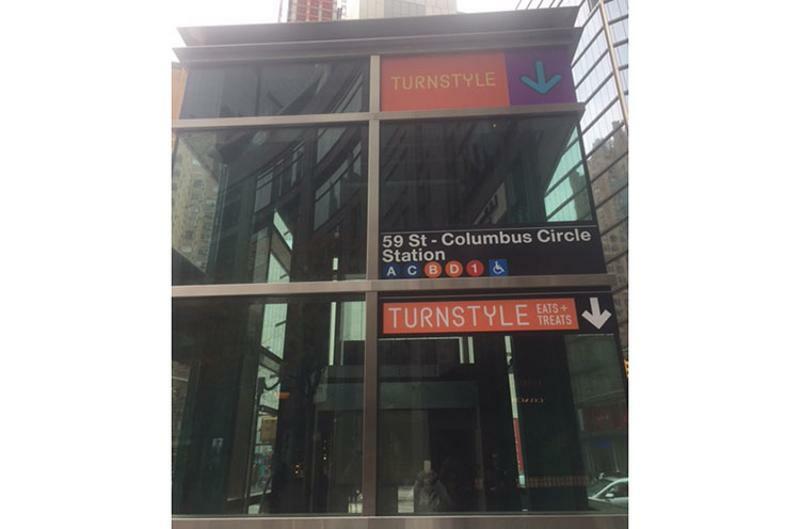 But the folks behind TurnStyle in New York City are the first to set up shop in a subway tunnel. Seating is very limited and orders sometimes have to be shouted over the noise of five train lines converging at the busy Columbus Circle station, but the positives of a high-traffic space, unique design elements and varied grab-and-go food and drink options outweigh the negatives. These five ideas caught our eye. 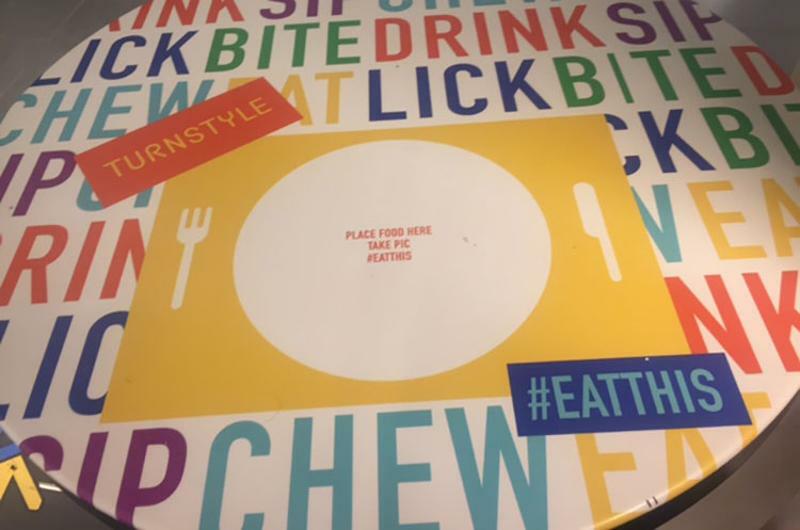 High-top tables are scattered throughout TurnStyle’s passageway, printed with colorful graphics encouraging customers to post their dishes on social media. Hashtags are provided, and there’s even a circle indicating where to place your plate or container of food to get the best shot. Seating space is scarce, but very flexible. 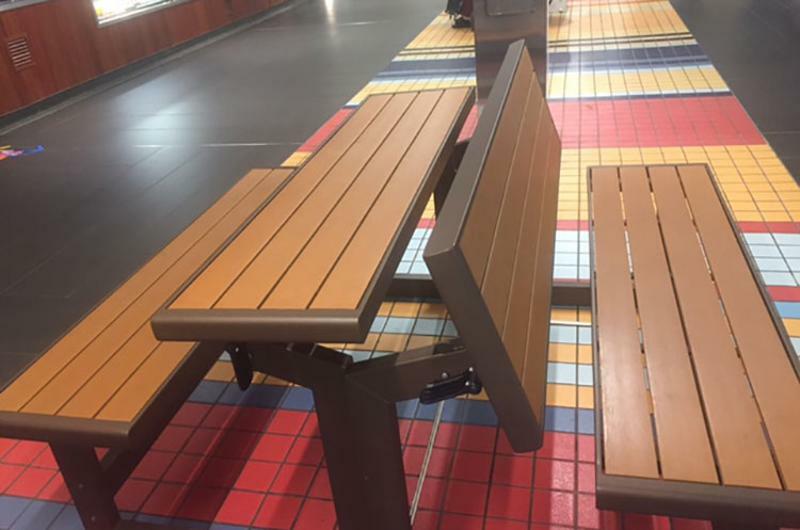 What looks like a park bench (or the old-time benches that line NYC’s subway platforms) can flip into a type of picnic table. Patrons sipping a cup of coffee or eating a doughnut may choose to sit on the bench, while flipping it to a table is a better option for spreading out with a salad or sandwich. By Suzette, one of the more than 30 TurnStyle vendors, offers a menu of sweet and savory crepes prepared to order. 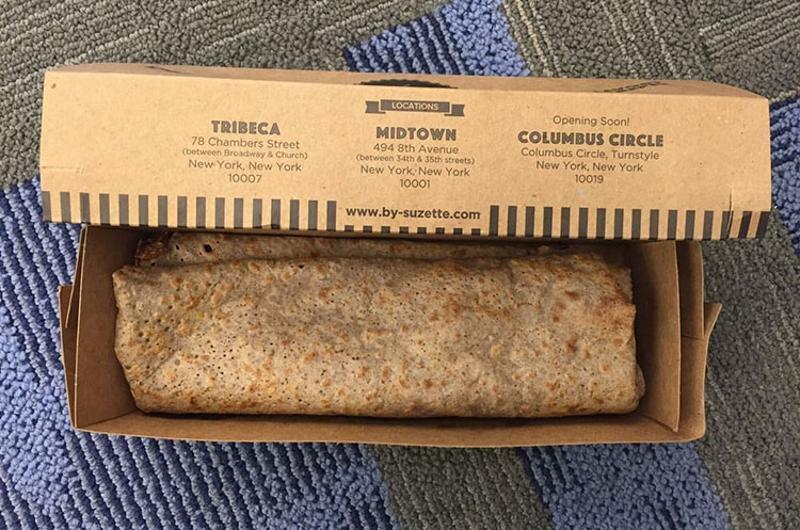 The team member who cooks and fills the crepe rolls it from the pan right into a cardboard to-go box with a sliding cover. It’s easy to tote and keeps the crepe warm. The same kind of container could work for a hot dog or slim burrito. To camouflage the pillars that are part of the original subway station construction, the designers mounted touchscreens on their exteriors. 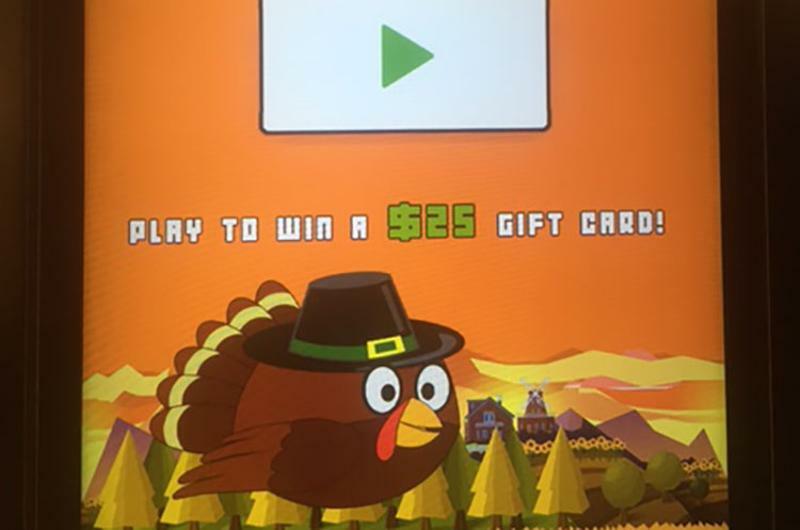 One screen invites customers to play a game with the chance of winning a gift card, while another is equipped with a camera that takes selfies when an icon is touched. 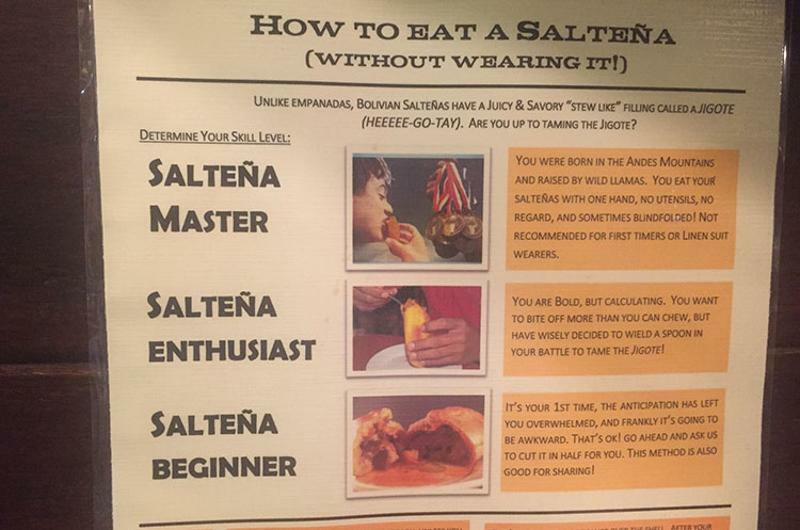 The saltena is not yet as common as the taco or empanada, so Bolivian Llama Party provides a poster on the wall of its storefront to explain what it is and how to eat it. The hand-held savory pastry is filled with a juicy meat mixture and once bitten into, can easily leak all over the diner, the poster warns. The explanation increases the saltena’s intrigue and encourages trial.